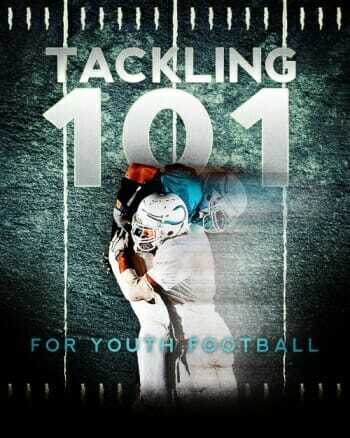 Here’s a great drill that emphasizes ball security and smooth footwork transitions. Your QB will work on dropping back, moving laterally in the pocket, then getting set and making an accurate throw. Set up six cones with four cones set up in a vertical line five yards apart. The fifth cone should be set five yards to the left of cone 2 and the sixth cone should be five yards to the left of cone 3. 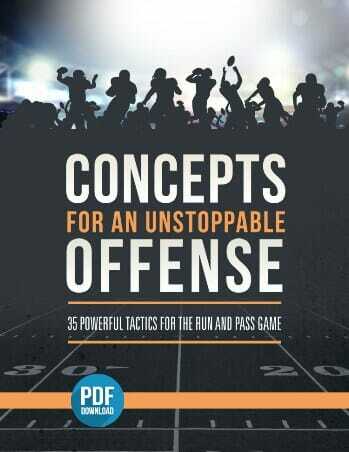 You’ll need a target for the quarterback to throw to. The coach should be nearby to call commands. 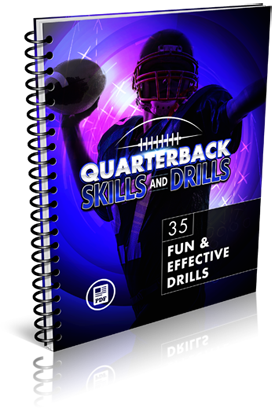 Inside the Quarterback Skills and Drills eBook you get 35 fun and effective drills for speed, agility, ball handling, passing mechanics, footwork and drops. Everything is delivered digitally in PDF format. So you get instant access right over your computer or mobile device. Or - if you prefer - you can print out a hard copy and add it right to your coaching binder. 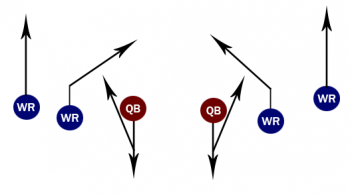 The quarterback starts at the first cone and drops back to the second cone. At the second cone he slides across to the third cone. At the third cone he drops back to the fourth cone. At the fourth cone he slides across to the fifth cone. At the fifth cone he drops back to the sixth cone. 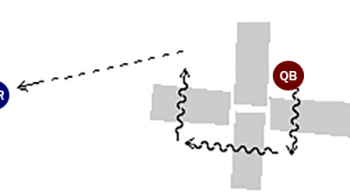 At the sixth cone he slides forward until the coach says throw. He sets and throws the ball to the target, who has flashed his hands. 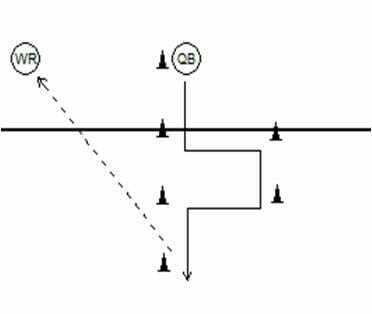 The drill can be reversed with players starting at the opposite end of the cone setup. Three things to look for during this drill: smooth transitions from cone to cone, two hands on the ball for ball security and eyes upfield. Enjoy this drill? Think it would work for your QB? 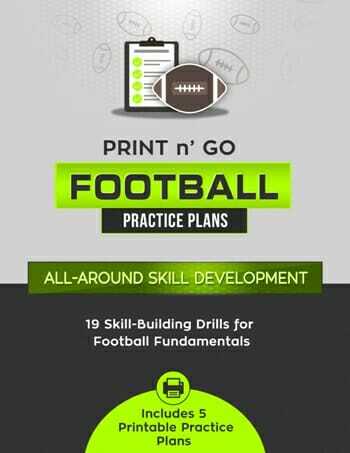 Download the Quarterback Skills and Drills eBook and you’ll get instant access to all 35 fun and effective drills for speed, agility, ball handling, passing mechanics, footwork and drops.